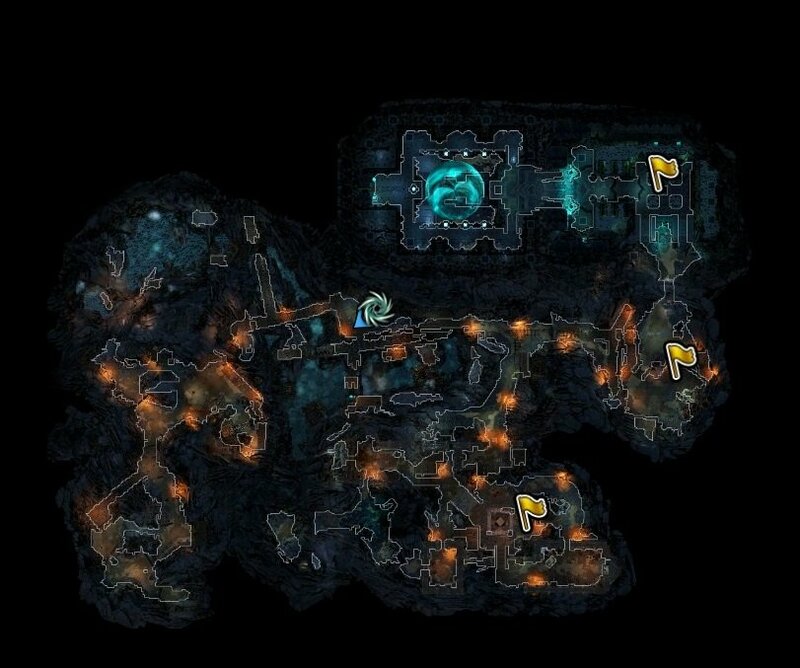 Ancient Temple is a location in Divinity Original Sin II. In the heart of Ancient Temple, there is a puzzle, there are seven shrines of seven gods, you need to activate them in the correct order. "Our first lord babes with power glowed, our second's born in blood that flowed. Our third's young to the wind returned, our fourth's to glowing flames adjourn. Our fifth lord's cubs with minds were blessed, our sixth's had brawn beyond the rest. Our seventh's brood spread from earth to glen, and thus no king shall rise again." The correct order is: Amadia, Tir, Duna, Zorl, Xantessa, Vrogir, and finally Rhalic. After you hit all the pillars in the correct order the shield will disappear. When you then open the sarcophagus an Eternal will appear, and have an interesting conversation with your god. You need to defeat the Eternal and her stalkers. Loot the place and leave. NOTE: Of all the possible conversations with the Eternal Aetera, having her speak to Fane (and his corresponding god Amadia) gives the most insight into what happened to the ancient Eternal civilization and who the Seven Gods really are. She'll treat anyone else with extreme arrogance, considering them a simple "beast" or "source vat", and Lohse's conversation will be slightly more unusual as her inner demon will be able to speak directly to Aetera and have slightly different conversation options, but she knows Fane. And she has a very, very deep hatred for him, for reasons you will find out during the conversation. If Fane is in your party and anywhere near the area when someone opens the sarcophagus, Aetera will always talk to Fane regardless of who opened it.